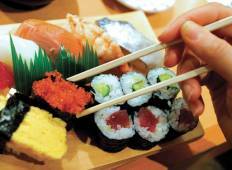 Find a Food & Culinary trip that explores Far East. There are 29 tours to choose from, that range in length from 3 days up to 34 days. The most popular month for these tours is October, which has the most tour departures. 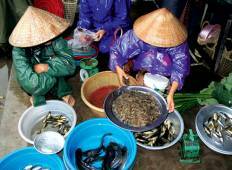 "I had the pleasure of spending two weeks with our guide, Giang Nguyen, on a food..."
"Unbelievable tour. The best food I've ever had, and our guide was lovely. Can't wait..."
"Our 12 day Food Tour was excellent. We visited a number of cities and sampled the..."
"We recently were fortunate enough to do the Vietnam from North, Central to South,10days..."
"A very well planned and organised tour. Adam is a fountain of knowledge having spent..."
"exceed my expectations. the guide was outstanding and the trip was well orgainized...."
"Thanks!! Had the most amazing in Thailand! They managed to fit in so much into the..."